Sandy Springs Egg Harbor Café - Fresh, Local Breakfast, Brunch and Lunch. Visit Egg Harbor Cafe in Sandy Springs, Georgia. 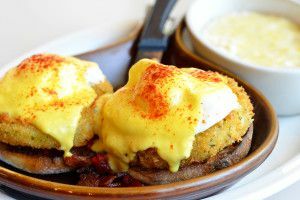 Egg Harbor Cafe in Sandy Springs offers great service and flavorful breakfast and lunch creations – Intelligentsia coffee, freshly brewed and delivered in a carafe to your table. A children’s menu and coloring contest for families. Delicious stone-ground grits from Allen Brothers Milling Company. Creative daily specials. A gluten free menu with amazing gluten free pancakes and cinnamon rolls from Sweet Ali’s Gluten Free Bakery. Many fresh, healthy options from locally owned and operated businesses. Delicious catering fare with many options, perfect for gatherings of any size. Yes - Seasonal (Please call for availability).